The signature of the relevant government ministers brings an end to the administrative procedures, allowing these wines to be brought to market with the 2017 vintage. As a reminder, in June of this year, the Institut National des Appellations d’Origine (INAO) said ‘yes’ to the ‘cahier des charges’ of those 2 AOCs. Despite drawing on 2,000 years of history and a reputation for excellence that is the envy of many, the Bourgogne winegrowing region is not resting on its laurels. Winegrowers and négociants are continuing their efforts to improve quality and promote the terroir, and producing wines to reflect that. 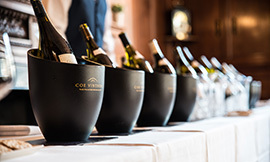 Moreover, it is with a great deal of pleasure and pride that in June of this year, these same producers obtained validation from the Institut National des Appellations d’Origine (INAO) for the creation of two new AOCs: Bourgogne Côte d’Or and Vézelay. Nuits-Saint-Georges is an appellation that is well known by wine lovers, but has plenty of little-known anecdotes. Nuits-Saint-Georges is located in the Côte de Nuits. 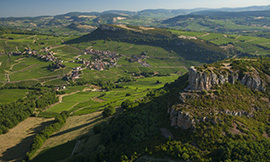 This Village appellation covers 41 Premier Cru Climats and mainly produces red wines (297 hectares). The white wines produced in Nuits-Saint-Georges only represent 3% of the wines produced in the appellation, with around 10 hectares. Not all Nuits-Saint-Georges wines are produced in Nuits-Saint-Georges! The appellation extends beyond the town, to the village of Prémeaux-Prissey. Then on 25 July 1971, the crew of the Apollo XV named a lunar crater “Saint-Georges”, in a delightful tribute to both the writer and the appellation! 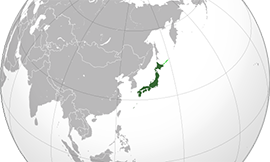 In July 2017, the Japanese government approved a series of free-trade agreements with the European Union, which will come into effect in 2019. This decision was critical for the Bourgogne winegrowing region because it is the second-biggest exporter of French AOC wines to Japan and the leading exporter of French white AOC wines (figure for 2016). These agreements could potentially lead to the Bourgogne winegrowing region returning to its export levels from 2012, when more than 10 million bottles were shipped. But most importantly, these free-trade agreements could open up the possibility for easier promotion of the great diversity of Bourgogne wines among Japanese wine lovers. They may also strengthen the links that already exist between the Bourgogne region and Japan, two territories that share similar cultures and values. The future is definitely looking bright! Watch our new video: “Bourgogne, the Birthplace of Terroir”, winner of the “Imagination & Création” prize at the 24th edition of the Oneovidéo festival at the Imaginarium on 17 October 2017. In eight minutes and four languages – French, English, Chinese, and Japanese – “Bourgogne, the Birthplace of Terroir” takes us deep into the heart of the Bourgogne terroir. This short film explains through 3D animated sequences how geology has shaped the Bourgogne winegrowing region and its celebrated Climats. It is the perfect tool for explaining, raising awareness, training, and refreshing your teams or even your customers on this complex subject. A far-reaching, international trade show, which runs from 12-14 February 2018. The Vinovision trade show dedicated to cool-climate wines is returning to Paris for a second edition. 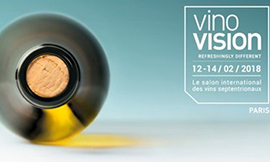 This year, Vinisud and Vinovision combine their skills and create in France an international meeting dedicated to wine professionals. In 2018, 500 exhibitors and more than 5,000 French and international specialists from a range of different wine distribution circuits including import/export, hotel and catering, wine- and specialist-store owners, major retailers, and online traders are expected to attend. The Masterclass area offers a series of tastings and demonstrations with various themes, shedding light on the specifics of cool-climate winemaking and providing answers to changing consumer habits. By registration only. The event is only open to market influencers, including sommeliers, wine-store owners, restaurateurs, and wine buyers. The registration for masterclasses will be open soon. The BIVB is showing its support for the trade of sommelier in Asia by sponsoring and participating in the jury for the grand finale of the Best Sommelier for French Wines in Asia, which runs from 13-15 December 2017. As part of the event, the BIVB is hosting a masterclass for sommeliers and journalists on 15 December. The BIVB is proud to sponsor this prestigious event which will crown the Best Sommelier for French Wines in Asia. On 15 December, the two winners from each country – Taiwan, China, Hong Kong, Macau, Indonesia, Vietnam, Thailand, South Korea, Singapore, and China – are invited to take part in an exceptional masterclass on the theme of “Discovering the Village appellations of the Bourgogne Region”. 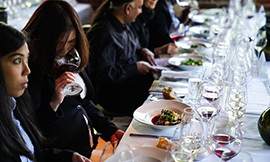 Other places will be made available for sommeliers and journalists. This masterclass will reveal the amazing diversity of expression that is hiding behind the 44 Village appellations in the region. Frank Kämmer, Master Sommelier and Official Educator for Bourgogne wines, will lead the participants through this discover and will comment on a selection of eight Village appellations that are still relatively little-known on the market. Six exceptional masterclasses in partnership with The Drinks Business to run across Great Britain, starting in November. 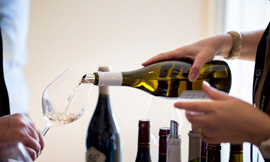 • The “Bourgogne Wines: Discovering Accessible AOCs” sessions introduce British tastemakers to some lesser-known appellations that offer excellent value for money. They are illustrated by a tasting of eight wines selected from the BIVB’s Cave de Prestige. The first masterclass ran in Bournemouth on 1 November, to be followed by further sessions in April in London and then Cambridge in June. • The “Art of Chablis” sessions are, naturally, dedicated to Chablis wine. They explore the “stylistic” nuances of the four levels of appellation and are illustrated with a tasting of 10 wines. They will run in February in Edinburgh, March in Bristol, and May in Glasgow. These classes are a unique opportunity to discover some new appellations and to learn from Michelle Cerrutti-Kowal, who will share her precious advice to those seeking to add some wines to their selection. To be a part of Bourgogne Wines on Tour, email charissa.shearer@unionpress.co.uk today! Take advantage of this event to promote your selection of Bourgogne wines and to launch the 2016 vintage on the market! Bourgogne Week runs in the UK capital from Monday 8 January to Friday 12 January 2018. It is a key event in the wine industry calendar that allows importers and distributors to present the new vintage to the market, while sharing the diversity of Bourgogne wines. It’s also a chance to invite producers and négociants from the region to come and present their wines to tastemakers like wine-store owners, journalists, and sommeliers, along with confirmed wine buffs. This event, which has been running for some years now and building up quite a fan base, is supported by the BIVB through an in-depth marketing strategy across social media and via partnerships with the local trade press. In 2017, our various “Bourgogne Week” publications across social media enjoyed almost three million hits, enabling those hosting events to enjoy strong attendance at their gatherings. • If you’d like to take part in any Bourgogne Week events, check out the next edition of Bourgogne International for full details. And don’t forget to share your Bourgogne wine-related photos, thoughts, and discoveries with the hashtag #BourgogneWeek. USA – November: Press pack of four Chablis Premier Cru wines, accompanied by a press release entitled, “Savor the Holidays with Chablis Premier Cru”.